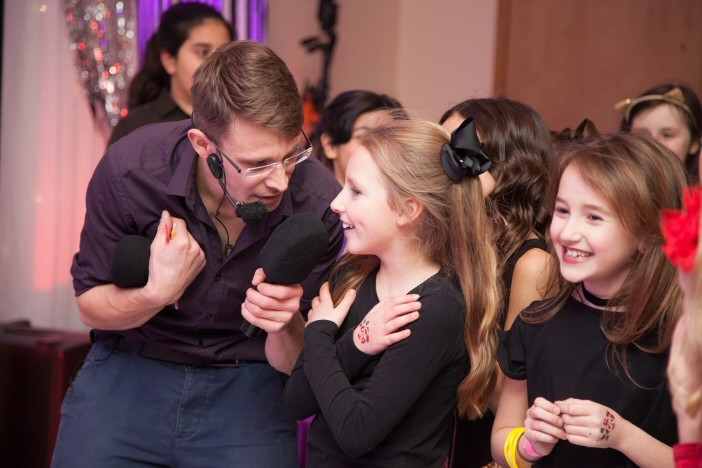 DJ Stevey T is an experienced, D.B.S checked children’s entertainer in Salford, Manchester and the Lancashire. Stevey T is a super fast, balloon modelling specialist. 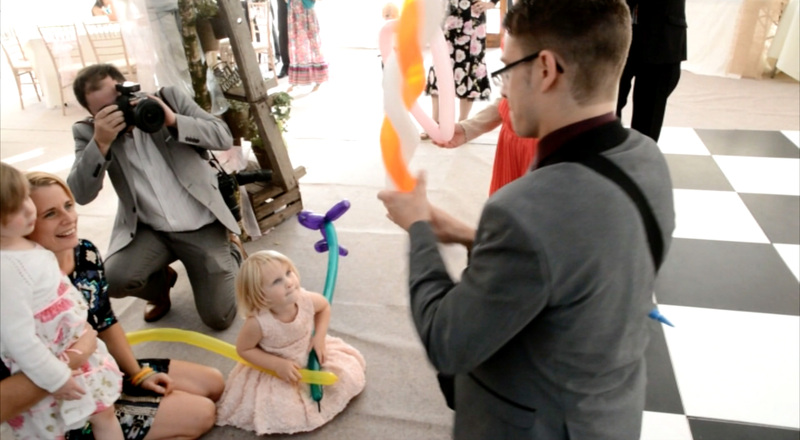 Every child gets at least one balloon, (realistically they all get loads because Stevey T is well quick!). We let the kids choose what designs they want, and make it on the spot. 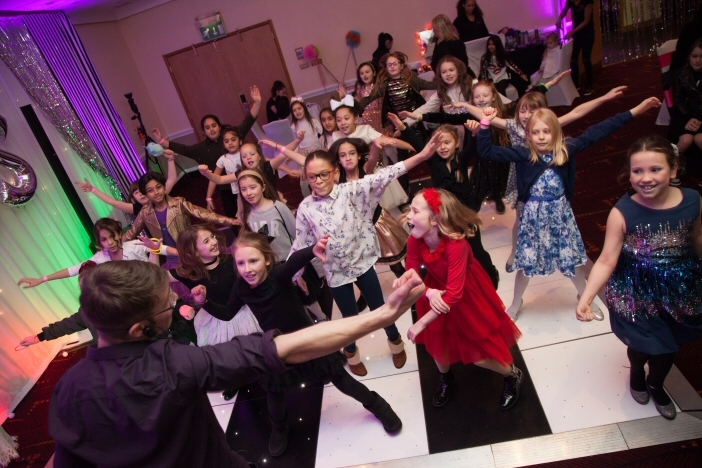 We inspire the young people with our own dance routines to well know pop songs, and they get the chance to show off their own dance floor skills and show us how it’s done! We’ve lots of different dance routines covering all ages from simple hand dances through to the real high energy stuff to tire your children out. Both reliable popular classics and new exciting material for 2016. We combine energy & fitness, dance, sport and technology to put on a modern, all inclusive kids show that stands out. 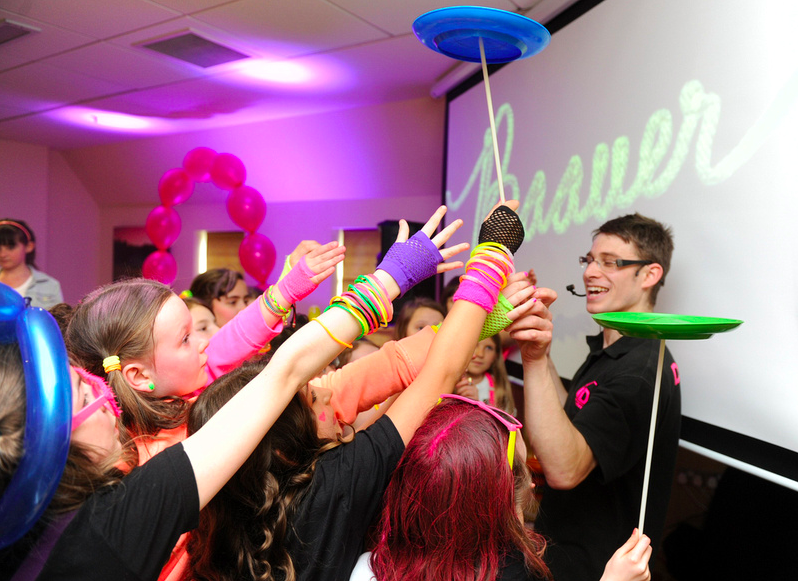 Especially plate spinning – and of course the kids (and adults!) learn how to do it. 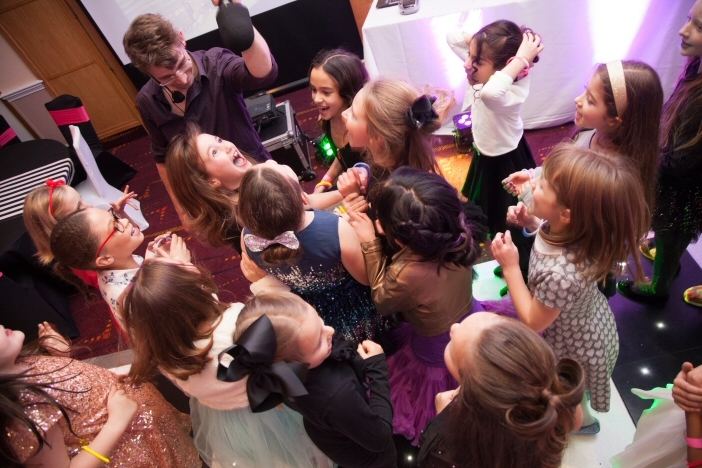 We can make your children’s party even more fun, by including a bouncy castle within our entertainment package. Please contact us for details. We have banter with any up for it adults at our younger parties, but we always keep our comedy family friendly. Karaoke and challenges of mind & muscle for prizes that young people actually want. Play shape blocks, babies bouncy castle, ball pool, rockers and space hoppers. We can organise special appearances from some of kid’s favourite film and T.V. characters, including Spiderman, Batman and Pepper Pig. Unlike some other companies who specify certain package types that you can choose from, we give you more choice. So from our list of many talents, you tell us what us what sounds good for your child and friends and we’ll get you the best value entertainment to suit you.